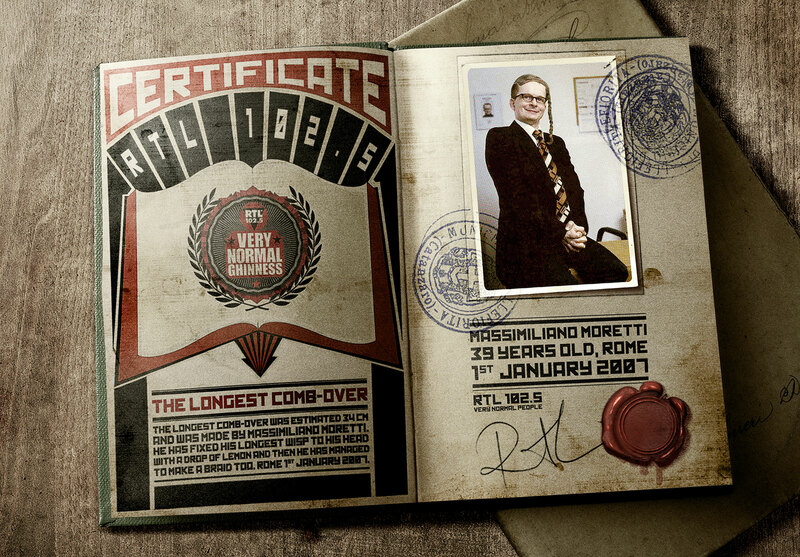 RTL 102.5 is a famous Italian radio station that plays mixed music to a mixed target audience. 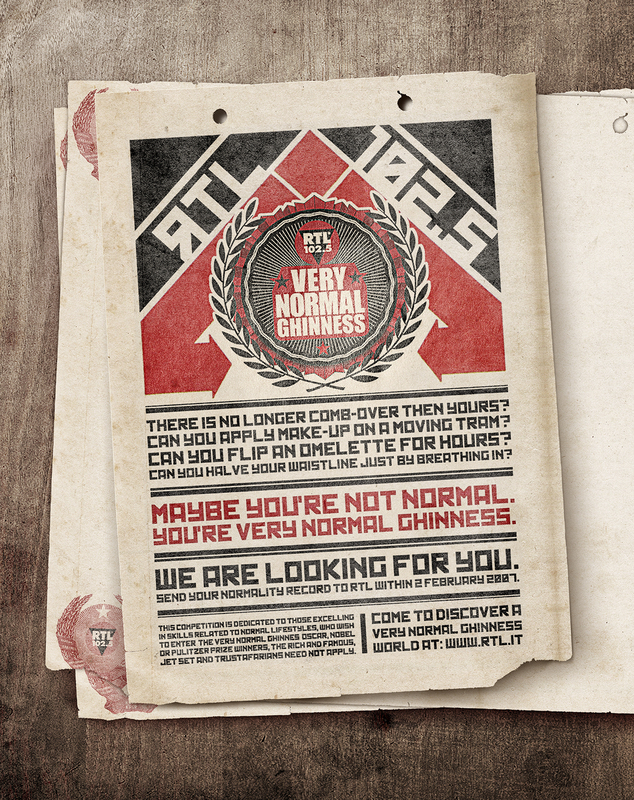 Its slogan has been “Very Normal People” for years because the radio talks to real people. 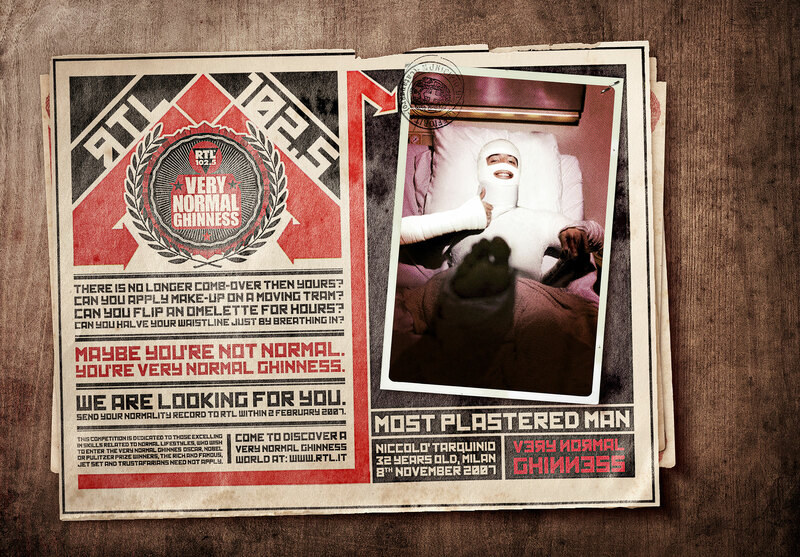 For the launch of the VideoRadio (the RTL TV Channel), we created a funny recruitment campaign to hit our target audience with the aim of creating a real radioTV program: The Very Normal Ghinness ­ a parody of the famous Guinness World Records TV show (or ‘Record Breakers’ to our English readers), where the records attempted are surrounded in normality. The campaign was advertised on different online and offline media and was structured in two phases: first, the launch, was an open casting for ordinary people with “no special talents” and the second phase, the maintenance of the records set at the limit of normality. 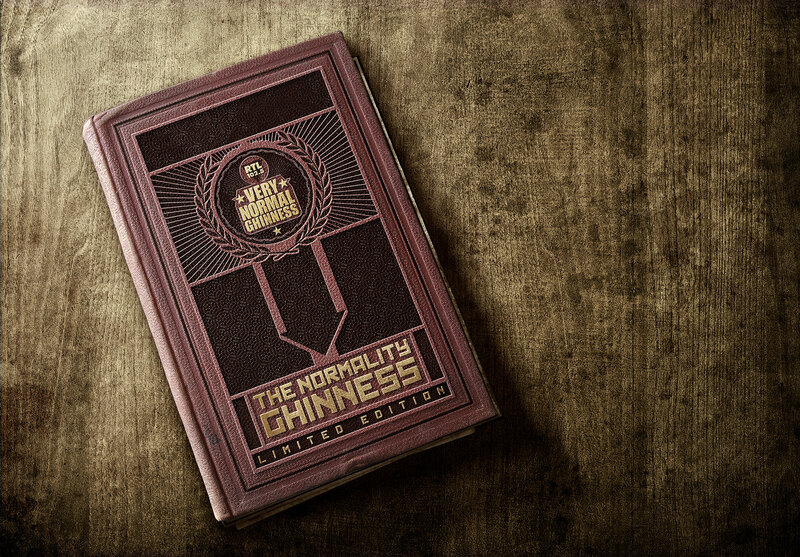 All the people who joined the competition received the Very Normal Ghinness Certificate. 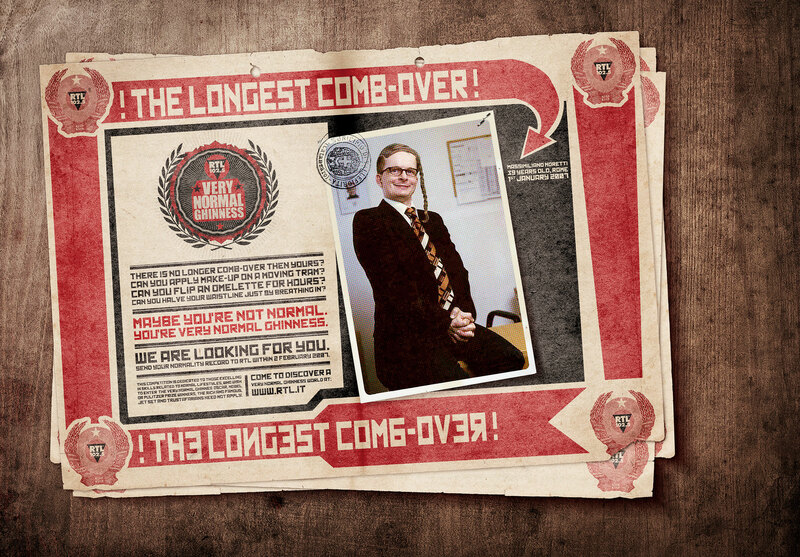 At the end of the radio TV program the funniest records were collected in the book, like the original.